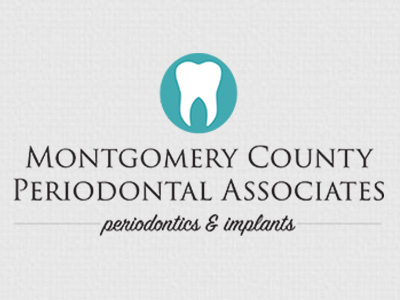 Welcome to Montgomery County Periodontal Associates where we care for your periodontic and implant needs. Our periodontist and team stay current with the latest technology and techniques in the field by taking many continuing education courses so we know the best ways to heal your mouth of gum disease. We strive to help patients understand our procedures so they feel like they are in good hands when we provide periodontal care in Conroe and The Woodlands, Texas, as well as the surrounding areas of Spring, Magnolia, Montgomery, Oak Ridge North, and Huntsville, Texas. Dr. Miles Mason and our team are knowledgeable, friendly, and able to accommodate for Spanish-speaking patients. We work well together, keep appointments on time, and run digital offices as we help patients feel relaxed and comfortable while improving their oral health. Call us today if you want to learn more. Dental implants are designed to provide a foundation for replacement teeth that look, feel, and function like natural teeth. The person who has lost teeth regains the ability to eat virtually anything and can smile with confidence, knowing that teeth appear natural and that their facial contours will be restored and preserved. Dental implants are changing the way people interact and live. With them, people are rediscovering the comfort and confidence to eat, speak, laugh, and enjoy life. For more information about dental implants or to schedule a consultation appointment, call our office in The Woodlands, TX at (281) 363-2009 & (936) 756-1669 (Conroe). These procedures are a predictable way to cover unsightly, sensitive, or exposed root surfaces and to prevent future gum recession. If you are unhappy with the appearance of short unsightly teeth this can be greatly improved by a combination of periodontal procedures by Dr. Mason and cosmetic dentistry by your dentist. For more information about cosmetic periodontal surgery or to schedule a consultation appointment, call our office in The Woodlands, TX at (281) 363-2009 & (936) 756-1669 (Conroe).